Unique, hand-built historic wooden vessel, she first entered the water in 1966. Her original purpose was to help the island’s first hippies on their hedonistic voyages. 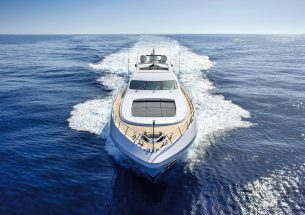 A beautiful alternative to the more common yachts that frequent these seas. Renovated to all of her former glory in 2011. The deck is in perfect conditions and comfortable lounge areas have been created. Sumptuous contemporary luxuries now give her the opulence needed for the ultimate experience. Satellite, Wifi and bluetooth connected MB Quart sound system, wet bar, super-cooling system. Lounge beds with sun, shade or faded sun options. Based in the port of San Antonio, close to the unspoilt and wilder Mediterranean delights of the western coast. Fully equipped to immerse yourself in the tranquil nature with an ice-cold drink but always ready to dial up the party action. 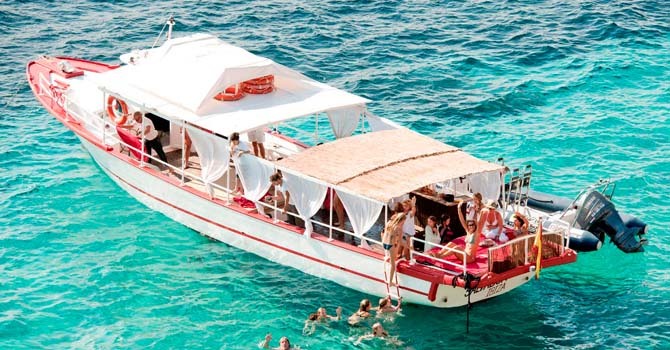 A beautiful classic wooden-decked party boat for up to 38 guest to enjoy a day, half day or sunset discovery of the hidden magical western coast of Ibiza. Celebrate your birthday, add romance to your wedding or just beat the drum to the setting sun with your best friends or family. Each trip starts in the port of San Antonio and can sail either North or South. From this side of the island you are able to discover stunning bays like Cala Gracioneta, Cala Comte, Cala Salada, Cala Bassa and many more crystal clear blue bays. 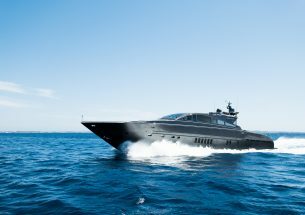 The price includes skipper, host, fuel, mooring in base port, full insurance of the boat and personal accident insurance. 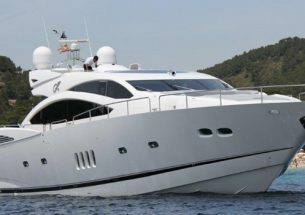 The price does not include mooring out of base port, on board catering/ bar or taxes (IVA 21%).